The French government is facing mounting criticism amid a swirling scandal involving President Emmanuel Macron's top security aide. However, a vote of no-confidence will hardly be able to unseat the government which Macron’s La Republique En Marche enjoys a solid majority in parliament. Last week French television networks obtained a video where Benalla and a Republique En Marche staff member, Vincent Crase, are seen beating up two people in Paris’ Latin Quarter during a May Day demonstration. Benalla was suspended for two weeks. The French president's office later said that it had begun dismissal procedures against Benalla after it transpired that he had illegally obtained “images from a video surveillance system” from three police officers in a bid to clear his name. Benalla was fired on Friday and on Sunday he was formally charged with violence, interfering in the exercise of public office and the unauthorized public display of official insignia. He is also accused of misappropriating investigation materials. Preliminary charges have been brought also against Vincent Crase, who was with Benalla on the day of the protest, and three police officers who were suspected of illegally passing footage from the event to Alexandre Benalla. 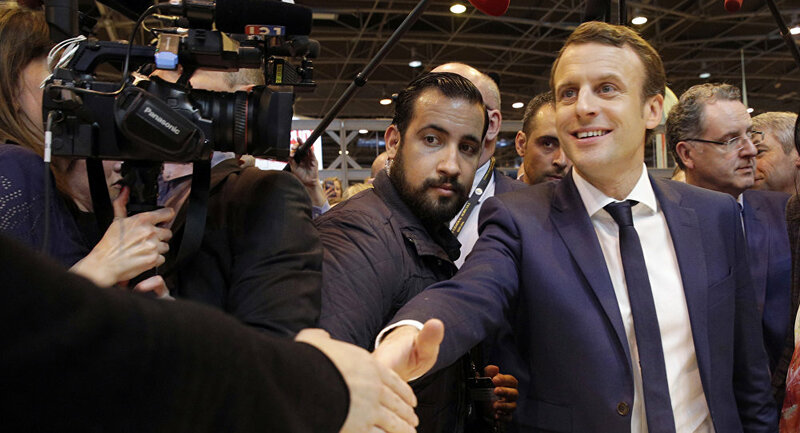 According to an IPSOS poll released on Tuesday, the first since the story emerged, Emmanuel Macron has seen his popularity plummet to 32 percent, down four points since June, his lowest level since September 2017.